Bigger is just better. Take my word for it… that is just the case in ‘most’ situations in life. Well, unless you must fit into a tight space in an attempt to evade your enemy chasing after you. 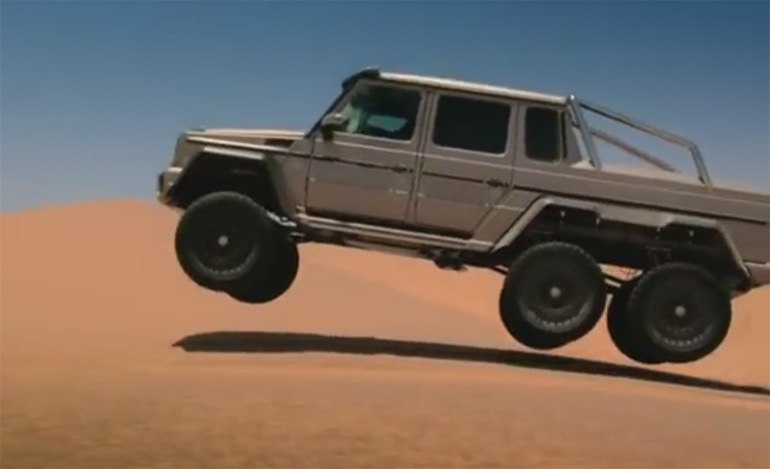 Richard Hammond, someone who is considered to be a small man (sorry Richard), took the massively proportioned Mercedes-Benz AMG G63 6×6 through Dubai having a bit of fun going through and over terrain that most vehicles simply would not fair too well. You probably have seen this classic episode of Top Gear but we wanted to share it with you once again, because it is COOL! Enjoy!